Lawmakers and other critics on Monday questioned the legality of President Rodrigo Duterte’s decision to put the Bureau of Customs (BOC) temporarily under military control amid a worsening scandal involving the smuggling of illegal drugs into the country allegedly with the connivance of bureau officials and employees. Malacañang and the Department of Justice, however, defended the President’s decision, saying it was in accordance with the Constitution. The President announced his decision to put the BOC under temporary military management in a speech in Davao City late on Sunday, days after he replaced the customs commissioner with a former military chief following reports that P11 billion worth of “shabu” (crystal meth) slipped past customs inspectors at Manila International Container Terminal in July. “These factors are not attendant at the Bureau of Customs,” Escudero said. Sen. Francis Pangilinan said the President’s decision was “of doubtful legality” and may not be the best move considering that two previous heads of the BOC and the former head of the National Food Authority were former military officers who had failed to clean up their agencies. “What does the [military] know about collecting taxes and tariffs? The bureaucracy is becoming militarized. What’s next, BIR, immigration?” Pangilinan said. Sen. Panfilo Lacson, a former Philippine National Police chief, said there was no guarantee that military men would not be tempted by smugglers. Lacson suggested that the focus be shifted to improving counterintelligence and appointing a leader worthy of emulation. Lacson said that in the 1960s, young and idealistic soldiers were assigned to the BOC. Politicians failed to influence them, but smugglers “systematically influenced” them through young and beautiful women, according to him. “The rest is history we don’t even want to remember, but Malacañang should learn from it,” Lacson said. “Deploying the military to every conceivable crisis in the civilian bureaucracy is governance by gimmickry. It tells a lot about Duterte’s severely limited imagination in solving the country’s problems,” De Lima said. Senate President Vicente Sotto III said he believed “drastic measures” were needed to deal with corruption in the BOC. But Akbayan Rep. Tom Villarin said putting a civilian agency under military control was an “extreme response” to corruption there. “It’s as if President Duterte has imposed nationwide martial law. The drug problem has now become a weapon of convenience to sound off the use of martial law powers,” Villarin said. But the administration of the BOC was not only a security matter, as it also concerned trade facilitation and revenue collection, Biazon said. Deputy Collector Ma. Lourdes Mangaoang, who blew the whistle on the shabu smuggling, said Mr. Duterte’s decision was “partly a good solution” but “not the perfect solution” to corruption in the BOC. Mangaoang said a military solution was applied to the BOC during the term of former President Benigno Aquino III but it resulted in congestion at the ports because military men knew nothing about customs operations. She blamed the congestion on the military men’s slowness in releasing cargo, most of which they put under alert. 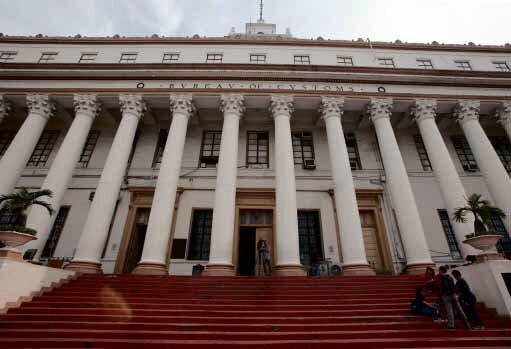 The National Union of Peoples’ Lawyers (NUPL) slammed the President’s decision, calling it part of the militarization of the civilian bureaucracy under his administration. “Not only does it have dubious legal basis, it betrays a compulsion for militarist solutions and strong-arm tactics,” said Edre Olalia, NUPL national president. Malacañang, however, insisted that Mr. Duterte’s order was consistent with the Constitution, as he is the Commander in Chief of the military. “He is authorized under the law to direct the movements of the [military] in any manner he deems fit,” said presidential spokesperson Salvador Panelo. Panelo gave assurance that the military takeover at the BOC was only temporary. Justice Secretary Menardo Guevarra said there was nothing illegal about the military’s temporary takeover at the customs bureau. “[T]he BOC chief, retired Gen. Rey Guerrero, is now a civilian; the BOC is under the Department of Finance (DOF), and the DOF is under the President. Civilian rule shall at all times be supreme,” Guevarra said in a statement.